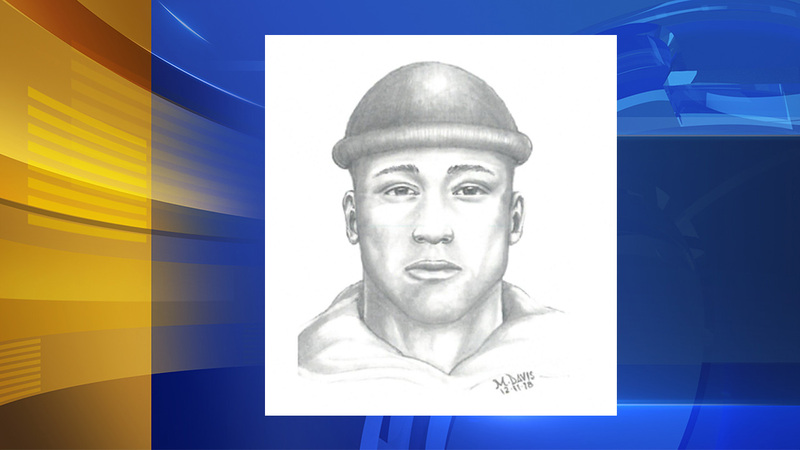 Suspect sought for multiple attacks on women in Norristown. Sarah Bloomquist reports during Action News at 5pm on December 10, 2018. NORRISTOWN, Pa. (WPVI) -- Police are searching for the man who has attacked multiple women in Norristown, Montgomery County this month. It's happened five times over the past two weekends. Police released a sketch of the suspect on Wednesday. Police say the suspect uses an unnecessary level of force and doesn't seem all that interested in taking belongings, although he has. Those victims have given investigators strikingly similar accounts. Police say the suspect has said some things that make no sense to either the victims or investigators. "They don't see him ahead of time. He comes up from behind. He typically grabs the woman around her mouth, or around her shoulders, or around the neck, and takes her down to the ground and steals property," said Chief Mark Talbot Sr. The first two attacks happened on December 1 at 4 a.m. and 7 a.m. Then, two more attacks on December 2 at 7 a.m. and 7:45 p.m. The most recent attack happened around 6:30 p.m. Sunday. "It seems like he's after property, but he hasn't taken anything that's worth a substantial amount of money. This is very concerning to us because it's different than we normally see," said Talbot. "There seems to be less an intent on stealing property than just doing some physical harm." Police believe this suspect might escalate his behavior if he isn't caught.